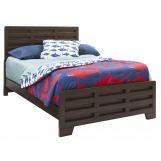 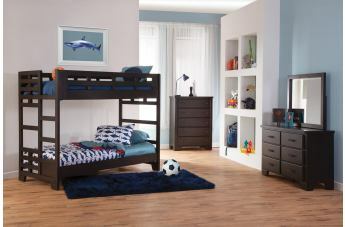 The American Woodcrafters Billings Bedroom Collection - Dark Walnut gets its robust look from interlocking horizontal and vertical mungar solids and hardwood pieces. 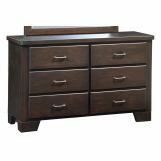 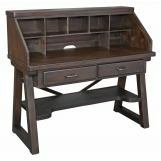 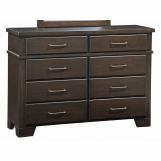 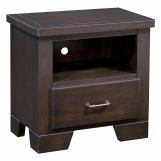 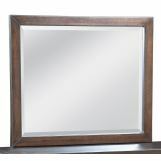 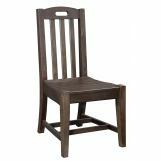 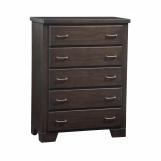 This collection is emboldened by its timeless dark walnut finish. 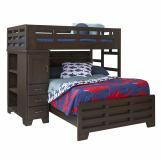 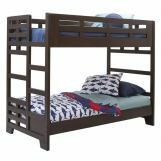 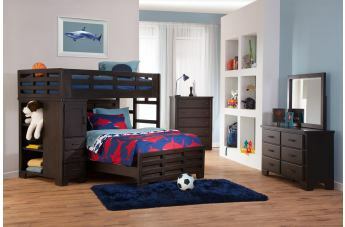 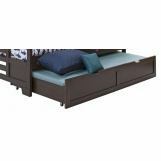 An integrated ladder of beds offers easy access to the cozy, enclosed twin top bunk.